signs of illness until it becomes a serious situation. Preventative measures are easy to do to prevent many health problems. debilitating bone growth and organ damage. proper diet and environment they deserve. all the information available for the species you keep. 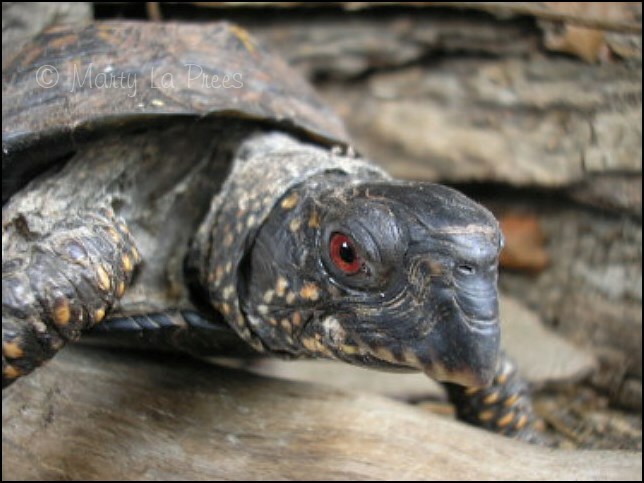 There are many books on care of box turtles. meat eaters. Both adults and babies can be considered 'fussy' eaters as they can be difficult and unpredictable. when it is hungry enough. 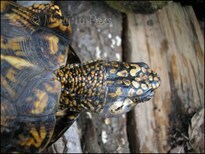 A box turtle would rather not eat and die than be in a lifestyle it does not like. pumpkin, corn, green beans, tomatoes, carrots, strawberries, cantaloupe, peaches, apples, and grapes. appetites to decrease. In fact, many just don't eat. If that occurs, weigh the turtle often and watch for significant weight loss. to a clean water supply and that it has a humid environment. non-stop lighting. The skin is thin, pale and peeling. 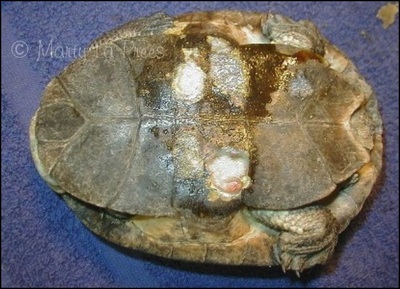 MBD (Metabolic Bone Disease) is a nutritional disorder and is a major cause of mortality in captive bred hatchlings. 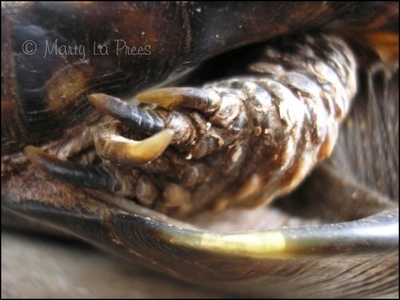 The body becomes distorted, the bones of the jaw are soft and weak and the carapace becomes 'pyramided'. Internal organs are also affected by MBD. 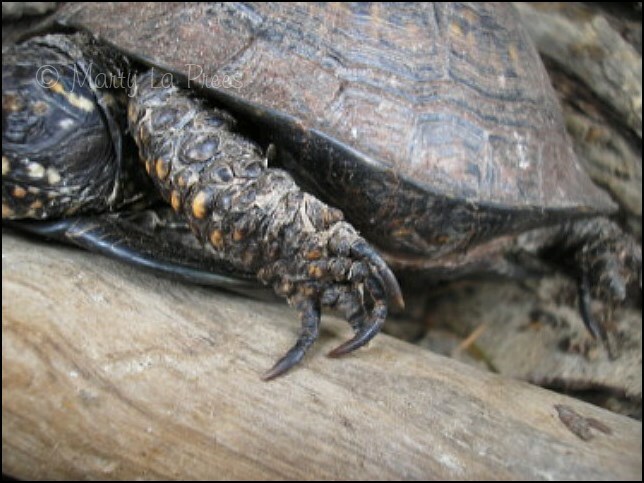 In some cases, the hind legs are at an unusual angle and it may appear to be taking small steps when walking. This is caused by an improper diet. 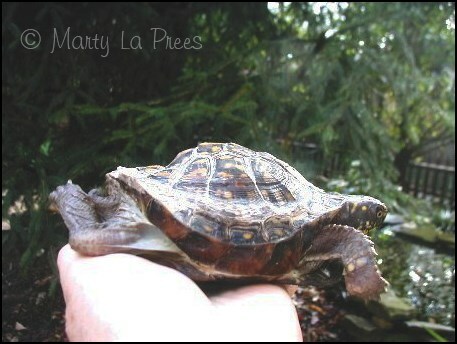 This is another reason to educate yourself on the needs of your turtle or tortoise. The white-cream colored sac you see in the photo is full of maggots. 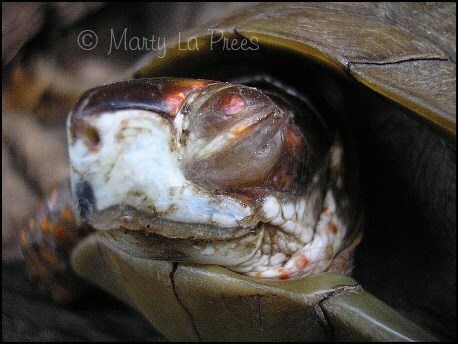 They are difficult to eliminate when the eggs are laid in injuries that are under the shell area. detect for obvious reasons. They include: ticks, mites, and bot flies. Ticks need to be removed making sure that you remove the entire parasite. 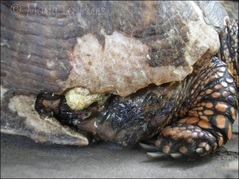 pen thoroughly and bathing the turtle should take care of the problem. It should be repeated a week or so later. 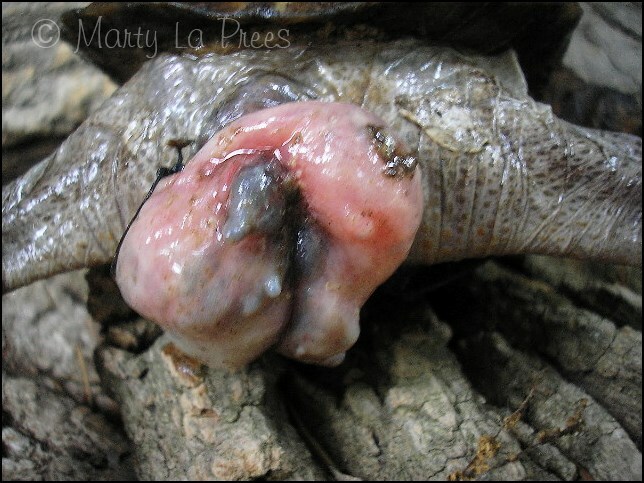 Bot flies lay their eggs under the skin. then flush the area with Betadyne solution. 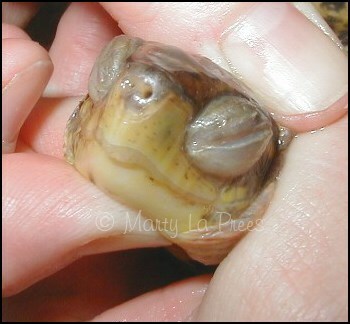 abscess as one side of it's face will be bigger than the other. followed by a course of antibiotics. Here at our rehabilitation center, treatment is available. Shell Rot is a fungal or bacterial infection causing pitting, soft spots, fluid under the shell plates, discharge or foul smell, or shell plates falling off and exposing tissue. Too much moisture, too little moisture, unsanitary conditions, improper diet, improper heating, and improper lighting can all lead to shell rot and other ailments. 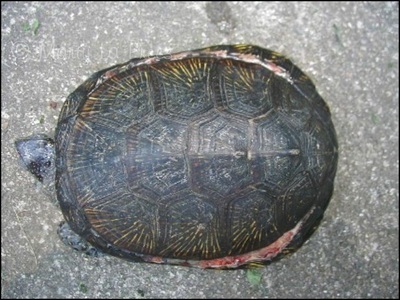 It affects aquatic turtles as well. This must be treated medically and can take a long period of time to heal. from eating properly, which would lead into nutritional problems. Putting food on a hard surface is helpful in preventing this. reason, but to avoid becoming overweight. Providing areas for a bit of climbing helps to keep the nails under control. 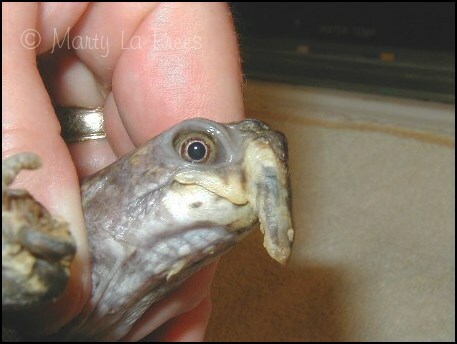 If they are over grown, your reptile vet can trim the beak and the nails. 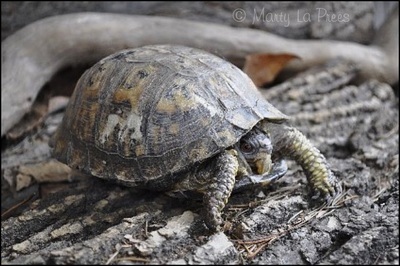 This is a common illness with box turtles, especially in the winter. 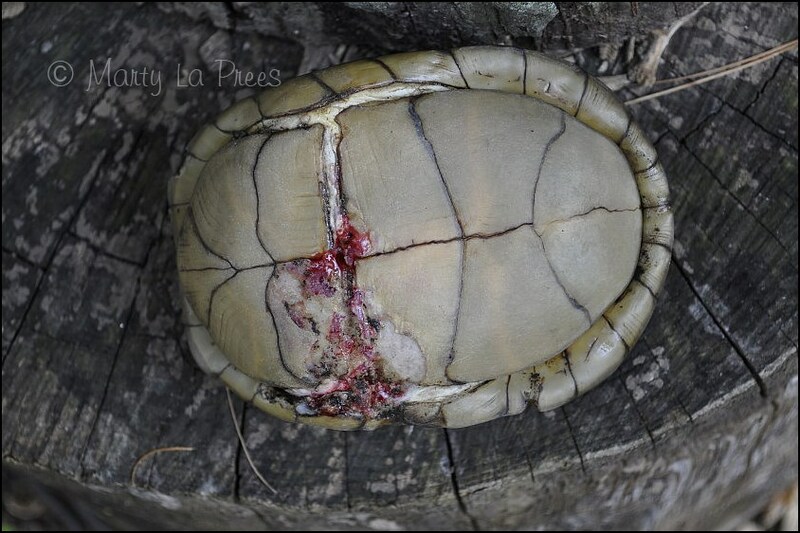 your box turtle treated by a veterinarian. Antibiotics are prescribed. sunlight is beneficial as well. 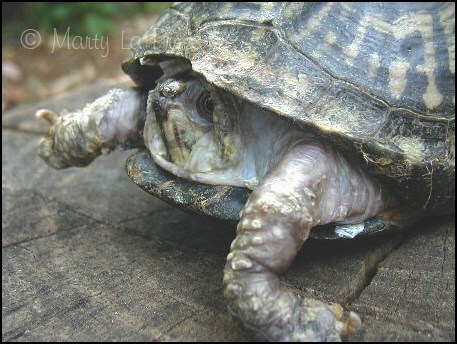 Do not let the turtle get dehydrated. considerations would be the colon, the bladder or the cloaca itself. 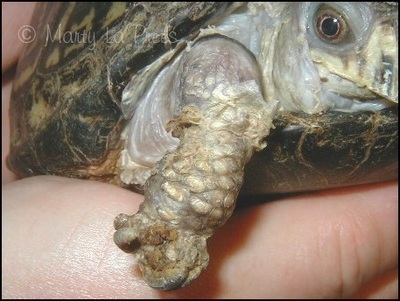 tissue from becoming necrotic (dead). EYE INFECTIONS Habitats that are improperly cared for can easily cause health problems. Eye infections occur due to dryness and/or bad nutrition. Lack of Vitamin A is a common cause for swollen eyes. is also required for healing.